****Special requests may be made by contacting the hotel directly and asking for the “Stars of Tomorrow” group rate when making reservations. Reservations must be made by 11:59pm on 3/1/2019. After this date, we are unable to guarantee availability and rates. 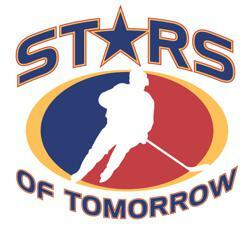 The following players have been invited to play in the 2019 Stars of Tomorrow in Bloomington. Below is the registration link to get your son/daughter signed up. Players who do not register by December 1 can be replaced by the coach. *Invites will be release by level in the coming weeks, please check back to this page soon for missing team invites. Most, if not all players will receive an email invitation. The all-tournament team is selected through a process of YHH Staff observations, tournament official and coach recommendations. Box scores from all title games, pictures, and final scoring leaders for the 2019 Stars of Tomorrow. Box scores, pictures, and scoring leaders as semifinal Saturday rolls on. Box scores, pictures, and scoring leaders from the second day of competition in Bloomington. Box scores and pictures from the first day of the 2019 Stars of Tomorrow tournament. Box scores and pictures from all championship games of the Stars of Tomorrow. Box scores, pictures, and stat leaders from the third day of Stars of Tomorrow. Box scores, pictures, and stat leaders from the second day of Stars of Tomorrow. Box scores, pictures, and stat leaders from the first day of Stars of Tomorrow.